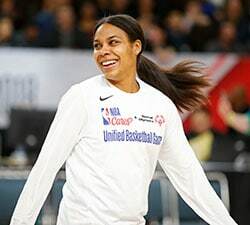 NEW YORK, NY – April 11, 2019 – The New York Liberty has acquired guard Tanisha Wright from the Minnesota Lynx in a trade deal that also includes the Las Vegas Aces and Atlanta Dream. 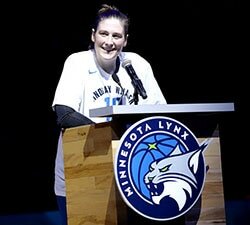 The Liberty traded its second round pick in the 2020 WNBA Draft to the Minnesota Lynx in exchange for guard Tanisha Wright. 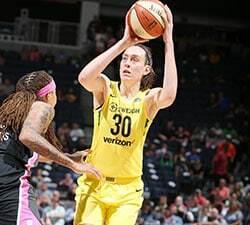 In addition, New York traded guard Sugar Rogers to Las Vegas for the Aces’ second round pick in the 2020 draft. 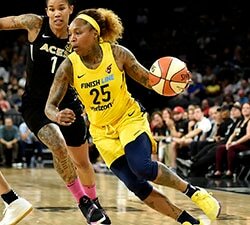 The Aces traded forward Nia Coffey to Atlanta.